What Are X-ray Year Labels? X-ray year labels communicate the date and time of the X-ray. Health systems, hospitals, clinics and veterinary practices use X-ray labels to improve tracking and retrieving and help prevent errors. X-ray year labels can be affixed directly to a radiograph allowing the medical staff to easily see dates making it simpler to identify the correct X-ray reading side without having to pull the film from the jacket. 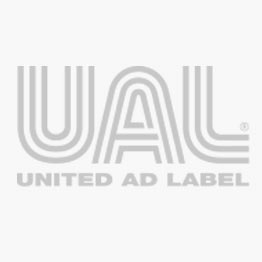 United Ad Label X-ray year labels are available in both 12 month kits and individual months. The brightly colored labels make it easy to color code files and enhance your organization. UAL X-ray year labels are in stock and available for immediate shipment. X-Ray Date Apr 201__, 1-1/2" x 1/2"
X-Ray Date Aug 201__, 1-1/2" x 1/2"
X-Ray Date Dec 201__, 1-1/2" x 1/2"
X-Ray Date Feb 201__, 1-1/2" x 1/2"
X-Ray Date Jan 201__, 1-1/2" x 1/2"
X-Ray Date Jul 201__, 1-1/2" x 1/2"
X-Ray Date Jun 201__, 1-1/2" x 1/2"
X-RAY DATE LABEL; BLANK -YLW 610/PACK, 1-1/2" x 1/2"
X-Ray Date Mar 201__, 1-1/2" x 1/2"
X-Ray Date May 201__, 1-1/2" x 1/2"